Leveraging hundreds of person-years of in-house experience in safety-certified display computer design, Mercury Systems has launched the ROCK-2 avionics subsystem and BuiltSAFE OpenGL graphics suite, optimized to take advantage of the CAST-32A and ARINC-653 (Section 2, Supplement 4) compliant multicore features of Green Hills’ INTEGRITY®-178 Time-Variant Unified Multi-Processing (tuMP) real-time operating system (RTOS). This enables multiple independent safety and/or security-critical applications to execute within the ROCK-2’s multicore operating environment in a predictable, bounded, and application-independent manner. The INTEGRITY-178 tuMP partition-enforcing scheduling mechanism results in a unified RTOS that provides practical time variant scheduling of both asymmetric multiprocessing (AMP) and symmetric multiprocessing (SMP) applications simultaneously, along with the ability to create core affinity groups that define how cores will be utilized by the graphics (and other) applications. 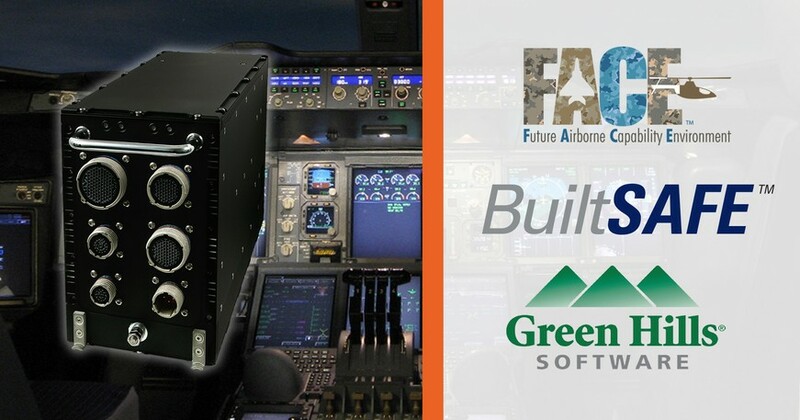 The combined software and hardware solution conforms to the Future Airborne Capability Environment (FACE™) V2.1 Technical Standard. Mercury Systems will be demonstrating support for Harris’ industry-leading FACE V2.1-conformant FliteScene digital moving map and INTEGRITY-178 tuMP on its ROCK-2 computer at the Army Aviation Mission Solutions Summit, Booth #1038. The demonstration leverages their BuiltSAFE-GS Hardware Accelerated OpenGL libraries for the AMD E8860 graphics processor. For higher Design Assurance Level (DAL) applications, the ROCK-2 computer also features the BuiltSAFE-GS Software Renderer, an OpenGL SC graphics library featuring optimized software rendering algorithms and advanced technology for high fidelity, real-time graphics applications rendered completely on the CPU. The deterministic multicore control mechanisms provided by INTEGRITY-178 tuMP are critical to the performance optimization of the BuiltSAFE-GS software renderer, giving developers the ability to task rendering threads to specific resources or modify the resource allocation at runtime using partition scheduler mode changes. This approach reduces development cost and eliminates the certification risk associated with discrete graphics hardware components, while also providing program managers with a superior obsolescence management approach and easy system upgrade and portability options. 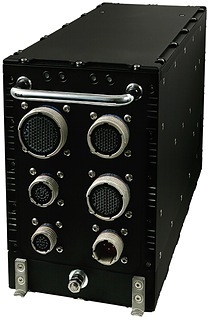 For more information on the BuiltSAFE ROCK-2 avionics subsystem and Mercury’s suite of mission computing solutions, visit www.mrcy.com/mission-computing-safety-dal/ or contact Mercury at (866) 627-6951 or info@mrcy.com. Founded in 1982, Green Hills Software, Inc. is the global leader and most accomplished supplier of high-assurance and secure software solutions for embedded systems. In January 2002, the Green Hills INTEGRITY-178 RTOS was the first commercially developed partitioned operating system certified to DO-178B Level A as part of a civil avionics TSO. In 2008, the Green Hills INTEGRITY-178 RTOS was the first and is still the only operating system to be certified by NIAP (National Information Assurance Partnership comprised of NSA & NIST) to EAL 6+, High Robustness, the highest level of security ever achieved for any software product. Green Hills Software’s open architecture, integrated development solutions address deeply embedded, safety/security and high-reliability applications for the military/avionics, medical, industrial, automotive, networking, consumer and other markets that demand industry-certified solutions. Green Hills Software is headquartered in Santa Barbara, CA, with European headquarters in the United Kingdom. Visit Green Hills Software at www.ghs.com. Mercury Systems, Innovation That Matters, Air Flow-By, and BuiltSAFE are trademarks of Mercury Systems, Inc. Green Hills and INTEGRITY are trademarks or registered trademarks of Green Hills Software in the U.S. and/or internationally. FliteScene is a registered trademark of Harris Corporation. FACE is a trademark of The Open Group in the United States and other countries. Other product and company names mentioned may be trademarks and/or registered trademarks of their respective holders.